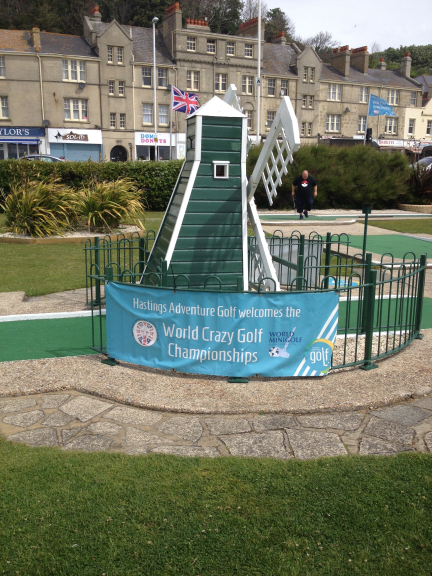 Entry to the World Crazy Golf Championships - held in Hastings - is now open. For the first time, in its 17-year history, it includes a new junior competition category too - just for children. Each category competes for a separate prize fund too. £3,000 prize fund is allocated to the professional category, with the overall winner scooping £1,000 - the largest prize fund in mini golf. A separate prize fund of £1,500 is allocated to the novice category. There are also opportunities for team entries in both the novice and professional categories. The junior category will have awards for first, second and third place. Following last year’s fantastic efforts, there will again be prizes for 'best dressed' and 'personality of the competition' this year. All entrants are entitled to half price practice golf at the complex.